ARLINGTON, VIRGINIA, USA, December 21, 2018 /EINPresswire.com/ — NS Home Inspection, known for their variety of services has just announced that they are bringing their business to Washington State. The Virginia-based home inspection company has recently decided to bring their highly-demanded services to the “Evergreen State” after years of establishing themselves as one of the best Virginia-local home inspection services. NS Home Inspection is providing services that include home inspections, roof inspections, full home inspections and many more. Moreover, the company has been praised for its customer service and working well with the local clients, realtors, insurance agencies and mortgage brokers. NS Home Inspection is also doing inspections of any kind, depending on the customer and they feature residential-like townhouse, condo and single-family houses. The service is also popular among small businesses. 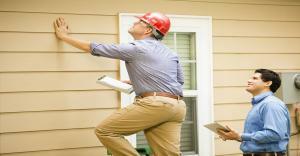 NS Home Inspection is bringing all the above-mentioned services and more to Washington State and is ensuring that they will provide “the most professional inspection service” of the industry. The management team is also stating that they are employing fully licensed, certified and trained, according to current standards and laws of home inspection. Therefore, the new local clients of NS Home Inspection can expect a professional attitude and a team of well-education industry leaders. The motto of the company is “Inspect Your House Today” and is ready and flexible in assisting with numerous situations and cases. Last but not least, the company is also offering their services at reasonable prices, according to the owners, reflecting the current status of the market. The company works from Monday to Sunday from 8:00 a.m. to 7:00 p.m. E-mails with questions, appointments and any type of help requested are welcomed at [email protected] The company can also be reached through their mobile number: 5715358725.